Sure I guess for non-cyclists, watching a bunch of guys pedaling across open roads can be as exciting as watching a banana turn brown. But for me, watching Mathew Hayman win the race was actually a pretty moving experience. I didn’t know who he was. Frankly, I didn’t really care. But hearing what he went through to win this, strengthens belief in myself… and in all of us. Because less than 2 months ago he broke his arm in bike crash. But he managed get back to the top of his game and be ready for this amazing event. Sure there are worse injuries that can happen but to be able to regain your strength to a point where you are competing at the top of your game. Especially among others who have been training and racing injury-free is an amazing accomplishment, And how he did it was even more impressive. 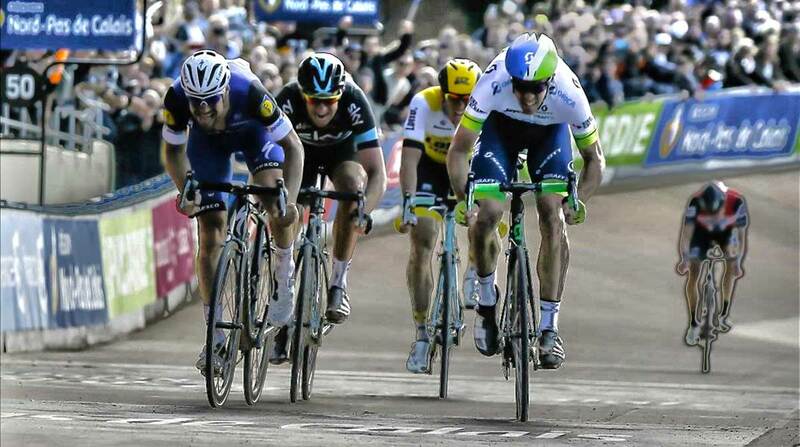 After countless attacks and counterattacks he out gutted the pre-race favorites and top contenders at the very last 200 meters of a brutally hard fought battle. If you have never watched bicycle racing let me describe what is so amazing about this race. 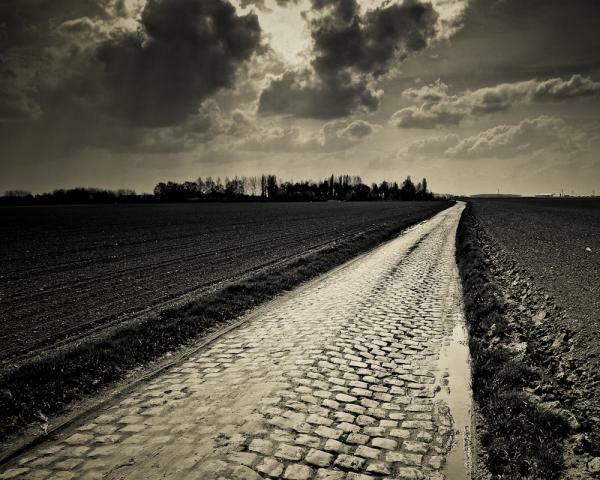 First off, it takes place in the unpredictable spring weather in a region of France where the conditions can range from cold to rain and mud, to high winds across open farmland to dusty roads blowing and blinding racers with dirt and grit. Now do this for 253 kilometers or 158 miles. All at speeds just under 30 mph. 5 hours and 51 minutes and 53 seconds. That is how long Mathew Hayman spent on his bike. Now the real kicker is that much of the ride took place over cobblestone roads. Imagine riding over a road that causes your whole body to vibrate like a jack hammer for at least 57 kilometers. Each micro-jolt literally stopping your forward motion and causing the rider to push harder and harder while the harsh vibrations zap strength from muscles with every jolt. Not to mention the unpredictability of riding thin tires over gaps and sharp or slick manure covered stones on farm paths that have been in place for hundreds of years. I’ve never raced over cobblestones. I have yet to ride hard over cobblestones. I usually ease up when I come across anything that is jarring or painful to my certain parts. But for some reason I love riding a nearby crushed limestone path that I like to call my own little section of Roubaix. Sure it is not nearly as bone breaking but you do need to keep pushing hard with every stroke if you want to maintain speed and momentum. For the past few months I’ve lagged in training. Partly due to weather, health and other interruptions have all combined to make my rides less than memorable or fast. But today was different. Throughout my entire ride I kept replaying the images from Sunday’s race in my mind. Watching the faces grimace in pain as each rider digs deeper into their soul for whatever shred of strength still exists. 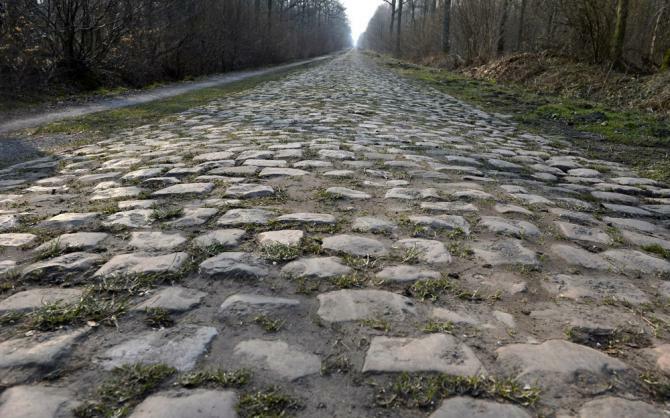 I am not comparing my ride to Paris-Roubaix. But I will say that we find our strength from many different sources. It just so happens that my strength came from a 38 year old Aussie who had just won the biggest race of his life. Today was one of my best rides of the year.